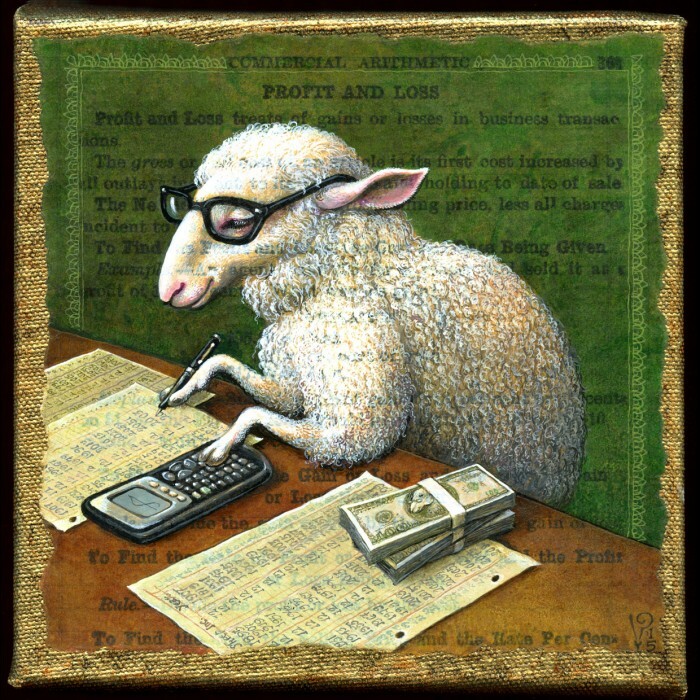 Year of the (Counting) Sheep | Leah Palmer Preiss ~ Curious Art: Acrylic painting on text collage on canvas, 6"x6"
Am loving some of your latest works…….especially this Chinese Zodiac! Wonderful! Aw, thank you, Clara! It was fun to paint! Pingback: Infinite Monkey | Leah Palmer Preiss ~ Curious Art: Acrylic painting on text collage on canvas, 6"x6"